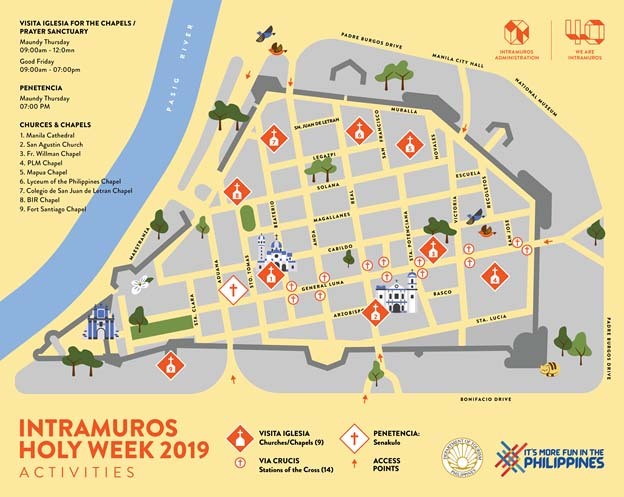 MANILA, Philippines— The Department of Tourism recently issued an advisory to the faithful who wishes to visit Intramuros during the observance of Holy Week from April 14 to 21. 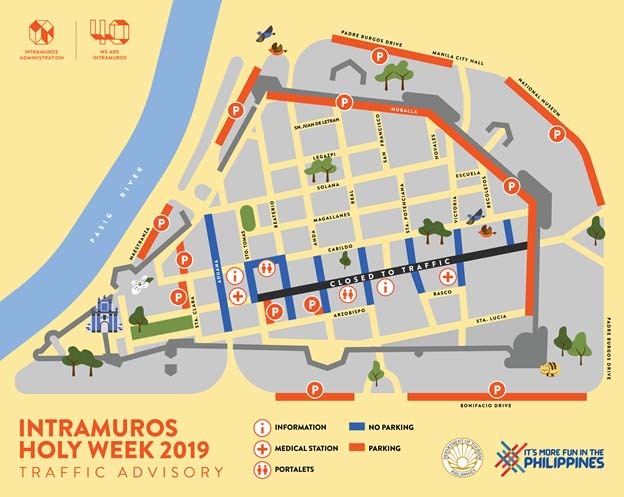 In its advisory, the DOT said it partnered with the Intramuros Administration, the Manila Cathedral and the San Agustin Parish Church with the support of the Bureau of Internal Revenue, Knights of Columbus, Colegio de San Juan de Letran, Lyceum of the Philippines University, Mapua University and Pamantasan ng Lungsod ng Maynila for the activities it will stage during the Holy Week. This year, however, the IA coordinated to open two more sites located inside schools and government offices. 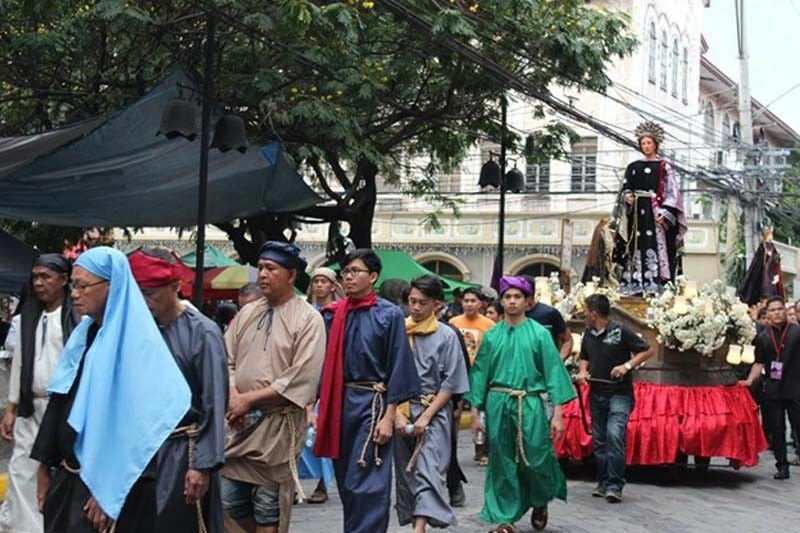 The Manila Police District, the Philippine Navy Reserve Command and the Philippine Red Cross will be on call to ensure the safety and security of devotees and tourists within the area.